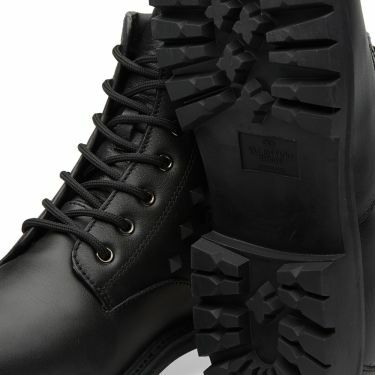 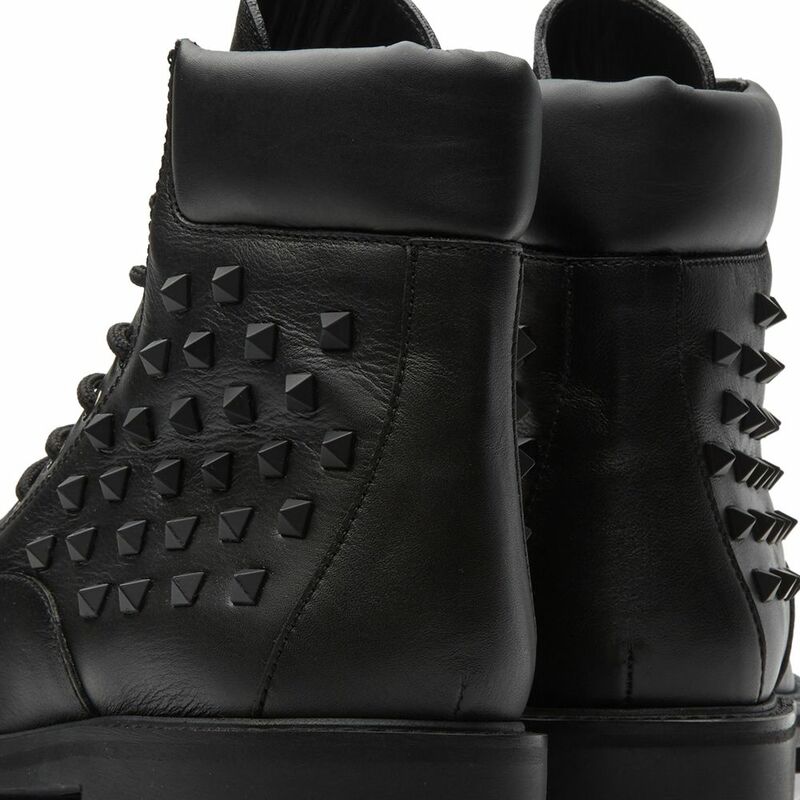 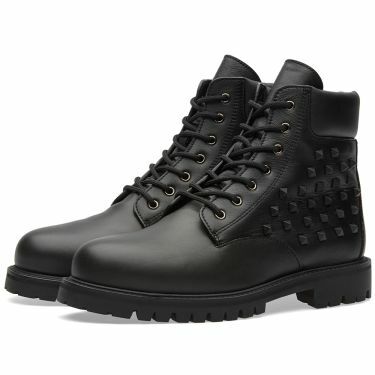 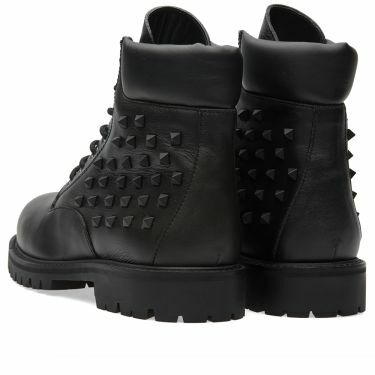 Known for their luxury and elegance, iconic Italian brand Valentino add a sturdy combat boot into their usual line up of sneakers. 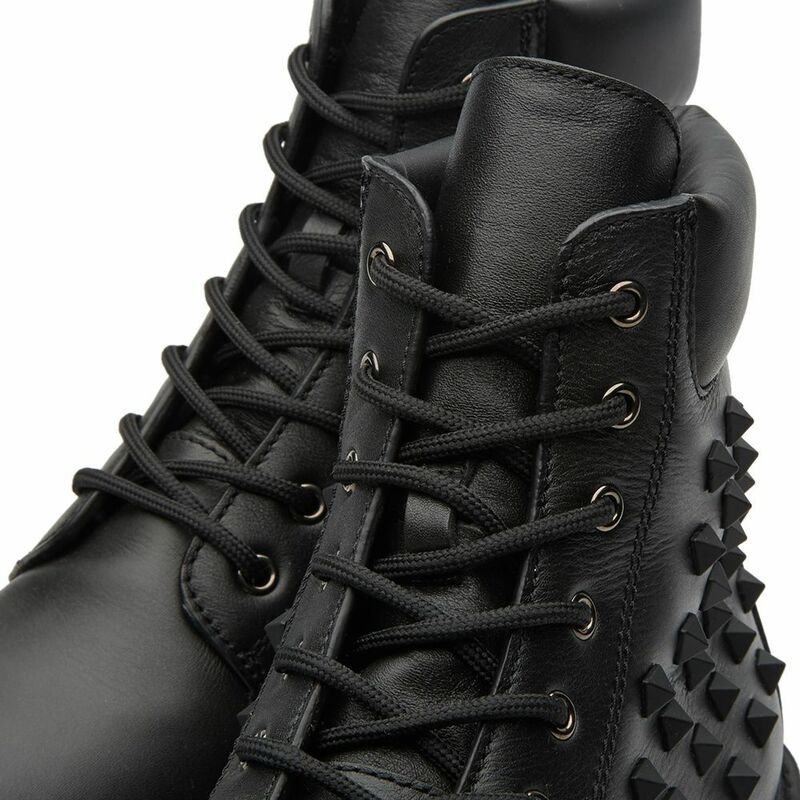 Placing rubber rock stud embellishment to the side wall of the vintage leather uppers, the padded collar adds comfort onto a durable lace-up boot. 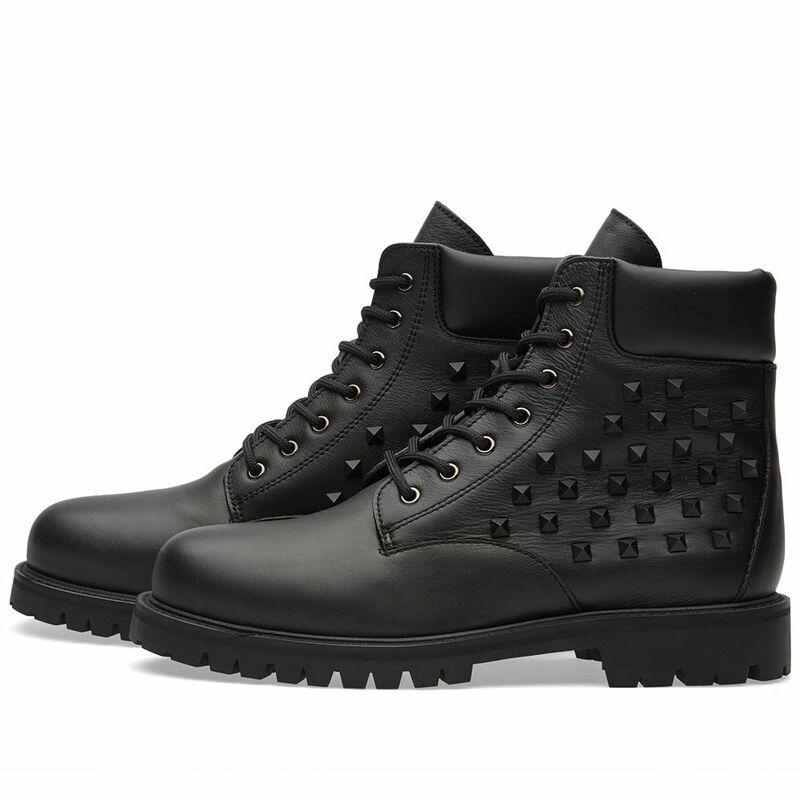 Entering into the military relams isn’t a new design direction for Ms Maria Chiuri and Mr Pier Piccioli, as they grow from strength to strength each season.